The Audi's A8 flagship is an attempt to steal the luxury vehicle crown from the Mercedes S-Class. The new comer is all set with its variety of raw ingredients including a classy cabin, lightweight construction of aluminum and sharp driving dynamics. 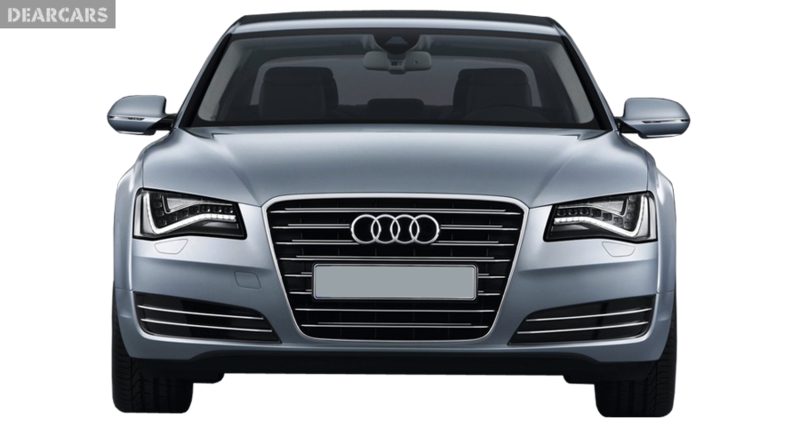 All versions of the model benefit from Audi's trademark Quattro four wheel drive and eight speed auto gearbox. Seen from a distance anyone can mistake the A8 for an A6, overall the exterior is very well proportioned and present a handsome look however it does not match the Mercedes S-Class and Jaguar XJ curb appeal. The designers of Audi have focused and placed more efforts on the inside of the car using top quality material and logical dashboard placing of features along with a touchpad that allow you to imply the sat-nav instructions using your fingers providing a particularly easy and neat touch. The A8 liberal trim include sat-nav, leather trim and climate control. 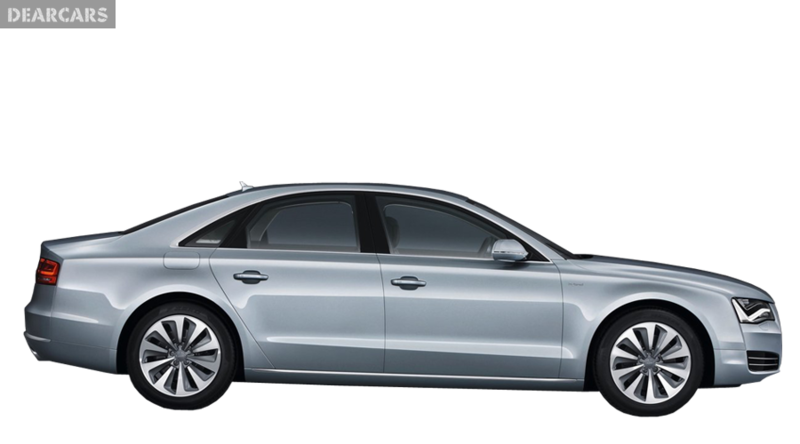 The A8 succeeds in delivering straight line pace owing to its lightweight aluminum construction. You can also choose from the 4.2 litre V8 petrol or 3.0 litre V6 power plants, however most drivers claim that the diesel version is the best blend in terms of economy and performance. The 3.0 litre TDI races from 0-60 mph in only 6.1 seconds yet promising an economy of 42.8 mpg. For providing corners grips and staggering traction all models are equipped with the Quattro four wheel drive. 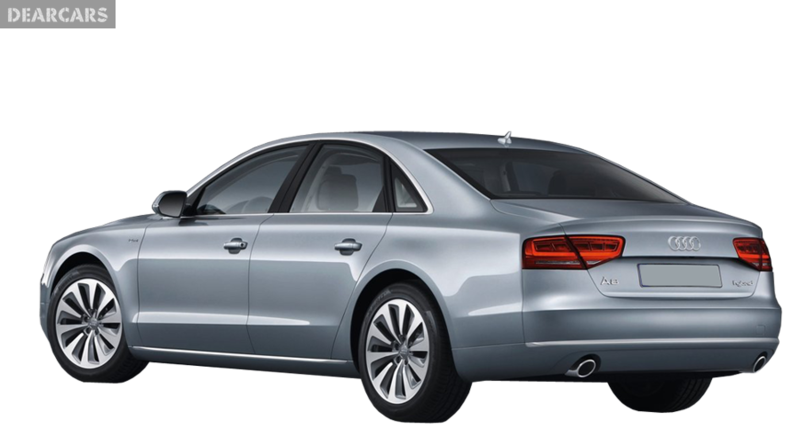 For the price, the Audi A8 offers a rigid low speed ride in terms of sharp handling. Also the tire noise reduces the edge off the refinement. Audi has not suffered the toughest test of the Euro NCAP crash but there is no reason to think it will not suffice the safety credentials. Six airbags a strong structure and a solid pre sense system will on auto close windows and tight seat belts if it detects an imminent collision. Other additions include standard Quattro four wheel drive fit tire pressure monitoring and electronic stability control. 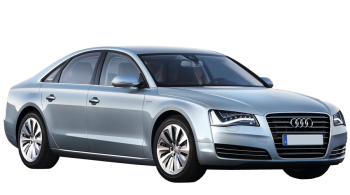 The Audi A8 as expected from its luxury car status enjoys rather roomy interior and the short wheelbase A8 also enjoys extra head and legroom. In the long stretched wheelbase option the back seat enjoys an extra space of 120 mm stretched out space. The standard boot space is of 510 litre of luggage space and after folding the rear seats the abilities equal to a definite hold all.